What a day it was last Monday, an action packed deadline day full of rumours, confirmed deals, hopes and expectations shattered and last, but certainly not least, redonkulous sums of money. 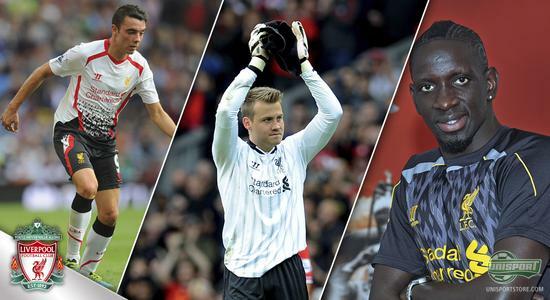 Now the football world can regain its breath, as the transfer window is now officially closed. We have also taken a deep breath and now give you the full overview of the summers most important transfers. Read along here, if you want to see where the very biggest stars have ended up. 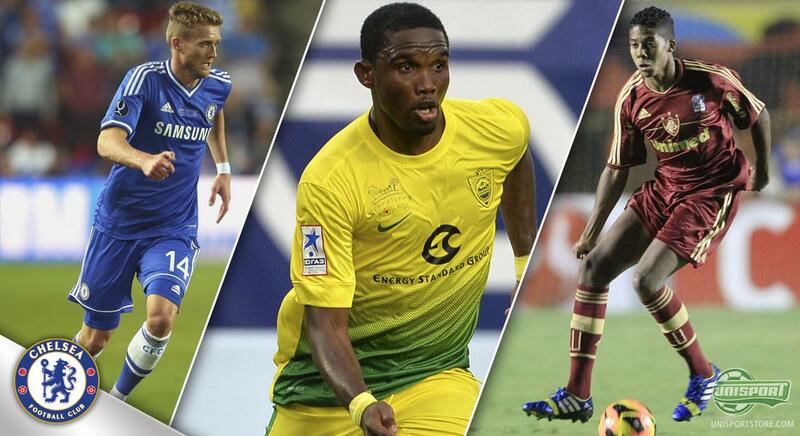 The transfer window was alight right to the very end Monday evening. The Mesut Özil-saga intensified by the hour, while Manchester United tried and both failed and succeeded with some last minute deals. 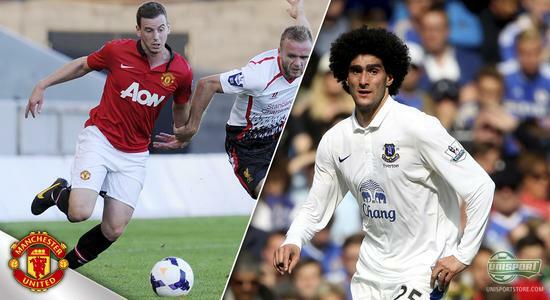 United managed to secure Fellaini, but failed when trying to bring in Herrera and Coentrao. Now after we have all had a days rest and time to reflect on the big transfer deadline day, we take a look make at the biggest transfers this summer. We start in England and Arsenal, where the transfer window went right down to the wire. For a long time it looked like Arsene Wenger's promise of new superstar players joining the Emirates, would not materialise, but all of a sudden the rumours of Mesut Özil joining, started looking more and more realistic. This meant that in the blink of an eye, Arsenal went from being a bit of a transfer window laughing stock, to suddenly having one of the worlds best players on their team. The signing of Mesut Özil sparked quite a bit of euphoria among the Arsenal faithful, who until then only had Mathieu Flamini and Yaya Sanogo to cheer about. But in the dying embers of the transfer window, Arsenal managed to sign Mesut Özil, as well as getting Emiliano Viviano from Palermo on loan. There is no doubt that The Gooners will remember this transfer window for the acquisition of Özil, who cost them no less than £42.4m. Are you a loyal supporter of The Gunners? Get your new shirt right here, so you can be one of the very first to get Mesut Özil printed on your shirt. In Chelsea 'The Special One' is back on the bench and there has been quite clear incentive from José Mourinho, to try and win the Premier League again. To help the London based club back to the top of English football, Mourinho has bought the always menacing striker, Samuel Eto'o, who can help make Chelsea's attack, if at all possible, even more dangerous. They didn't manage to wrestle Wayne Rooney from Manchester United, but on the other hand they secured the services of Brazilian trickster Willian and equally skilful Andre Schurrle from Bayer Leverkusen. So the attacking options for Chelsea are definitely not in short supply, and it will be exciting to see just how they get on in the coming season. Quite a few Chelsea fans have had 'Special 1' printed on their shirt and if you want a Chelsea shirt with original printing, then look no further than right here. It was probably only the most full blooded Liverpool fan, who had seen them sitting pretty on top spot after 3 games, with one particular impressive win against Manchester United. The formula for success has so far been 1-0 wins, with goals from Daniel Sturridge. On the goalkeeper spot they have brought in Simon Mignolet and with 3 clean-sheets and a penalty save in the last minute of their opening game, it will be the very fewest Liverpool fans questioning that signing. The club, so rich on tradition, have also secured Victor Moses from Chelsea on loan and in defence they have been shopping from the top drawer, bringing in Mamadou Sakho from PSG, as well as Thiago Llori from Sporting Lisbon. This paired with the fact that the fan-favourite Daniel Agger is not moving to FC Barcelona, means that the centre of defence looks to be well in order. Their attacking options also look in good shape, with Daniel Sturridge in sublime form and Luis Suarez returning from suspension soon. There is plenty of reason to be happy if you're a Liverpool fan at the moment. Are you a loyal red man, then get your Liverpool shirt here and maybe get one of the new boys names printed on. If there is one team, known for spending money and quite a lot of it at that, then it has to be Manchester City, who have been splashing the cash for quite a few transfer windows now. Again this year they have acquired quite a number of players, with high hopes for the striker duo Stevan Jovetic and Alvaro Negredo. They will be fighting for a spot in the starting line-up with Edin Dzeko and Sergio Agüero, so the new manager Manuel Pellegrini will not be suffering from a shortage of strikers this year. A new exciting player at the Etihad Stadium is Jesus Navas, who City signed from Sevilla and last, but not least Fernandinho, who they bought from Shaktar Donetsk for the dizzying sum of £30m. A fee like that naturally brings with it quite some expectations, but then again, it is far from the first time that City have spent that much on a player. If you support The Citizens, you can show off your club love with the new shirt from Nike, which you can order right here. On the back you can pick one of the clubs new players, or one of the established stars like Agüero and Touré. You can't say Manchester United have been particularly busy in this summers transfer window, not until the very end at least. Apart from clinging onto Wayne Rooney for dear life, they have spent the summer in a bidding war with Everton, for Marouane Fellaini. They almost didn't make it, but in the end they found a price, which both sides could agree on. Another player they hoped to bring in was Ander Herrera from Athletic Bilbao, but they couldn't push it over the line, although lord knows they tried. This means David Moyes had to settle for very few additions to his side, but that is not necessarily a bad thing, seeing as though this was the squad that won the league. One new face in United, bar Fellaini, is the the very young full-back Guillermo Varela, who The Red Devils bought from Penarol, for around £1m. So it is hardly the big money they have been spending and it will be exciting to see if they will regret that, come the end of the season. Do you think The Red Devils will retain the Premier League trophy and do you need a shirt to support them when they do so, then you can order your Manchester United shirt right here. If we had to point to a club, who have been at the heart of just about everything this summer, it has to be Tottenham. The English clubs have been connected with just about every player in the world and signed a fair few of them too. Funnily enough it has however been a player going outward, who has stolen the headlines, with Real Madrid buying Gareth Bale for the dizzying sum of £86m. This naturally infused the club with quite a lot of excess cash, which they have not been shy to spend. Impressive signings, like Roberto Soldado have been aplenty and the Spanish striker has not taken long to acclimatise to the Premier League and prove his prowess in front of goal. The Spurs supporters have high hopes for the young attacking aces, Christian Eriksen from Ajax and Erik Lamela from Roma, who both look like great signings. On top of these already brilliant buys, where also Etienne Capoue, Nacer Chadli and Paulinho, so there are plenty of options for manager Andre Villas-Boas. We are working hard to get the new Tottenham shirt on stock and once we do, you can find them right here. There is something to live up to for Bayern Munich, who took, Germany, Europe and the world by storm, by simply sweeping all opposition aside last season. The Germans won 'The Treble' after dismantling Barcelona in the semi-final of the Champions League, with the aggregate score being an unprecedented 7-0. They haven't brought in too many players, but the signings they have made have been very well thought through and future orientated. To bolster their attacking options they snapped up Mario Götze, from their rivals Dortmund and it will definitely be exciting to follow his progress in Bavaria. Extra midfield options have come in the shape of Thiago Alcantara, who the former Barcelona manager, Josep Guardiola managed to lure from Catalonia. The super talent Jan Kirschoff has also been brought in to tighten up the defensive side of things in Bayern. He can play, both at centre of defence, as well as a defensive midfielder, so the options for Pep Guardiola are many. 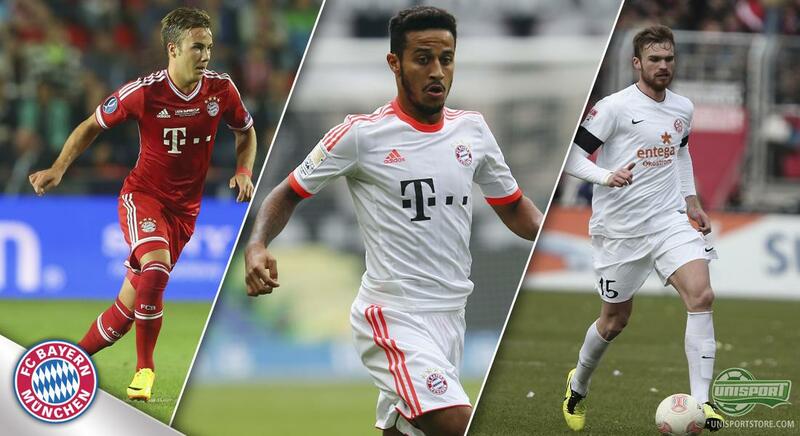 It will be hard for Bayern Munich to replicate last years achievements, but their signings suggest they might. Are you a true Bayern Munich fan, then you can get your hands on the clubs elegant new shirt here. If there was anyone, who we would put our money on besting Bayern Munich's dominance in Germany, it would be Borussia Dortmund. It is never fun coming in second and you would think the Champions League defeat last year, still weighs heavy on the minds of the Dortmund fans and players. It probably also hurts to see star man Götze leaving to join rival Bayern, but then they can comfort themselves with the signing of the talent Pierre-Emerick Aubameyang, who announced his arrival by scoring a hat trick, in his first game for the club  not bad. They also signed something as rare as an Armenian, in the shape of Henrikh Mkhitaryan  let's hope we spelled that right. Already in Shaktar Donetsk he proved his qualities and looks to have settled well in Dortmund. Now for another player with a completely unpronounceable name, Sokratis Papastathopoulos, who also joined Dortmund. The stadium speaker must be pleased that he, as a defender, won't be scoring many goals and he therefore won't have to say his name too many times. Are you a Dortmund fan, then show your love for the new shirts, which you can order right here. You could for example get Papastathopoulos on the back, then you will definitely have a shirt that stands out. Barcelona have really only signed one player, but the one guy they did get, has gotten enough attention for an entire team. Neymar Jr. is without a doubt one of this summers most interesting transfers and there is tremendous pressure on the young Brazilians shoulders. At Santos and for the national side, he has shown his otherworldly talent and if he can replicate that for the Blaugrana, then Barcelona fans are in for treat. In the Spanish league the Barcelona-machine is already in full swing, carving through opposition and you would think the many stars are up for a little revenge in the Champions League, after they were humiliated by Bayern Munich last year. The question is, can they beat Bayern this year? Are you a Barca fan, then you can get the Catalans brand new shirt right here. If you would like printing, then you face a tough choice between Neymar Jr. and Messi, or maybe one of the other mega stars. 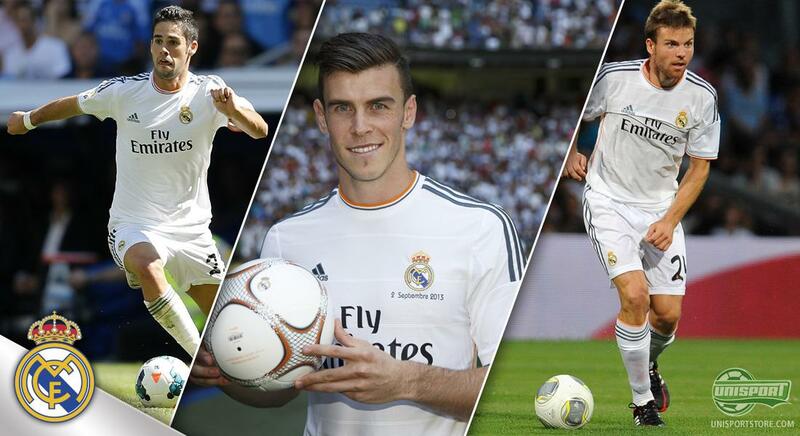 Real Madrid were, as so many times before, behind one of the summers very biggest transfer sagas. It was a long time under way and the rumours were there all through the summer, but it wasn't until the very end they managed to sign Gareth Bale for around £86m, which makes him the most expensive player ever. You have to expect there will be quite a lot of pressure on the Welshman's shoulders, but in Real Madrid he will have to share the spotlight with not only Cristiano Ronaldo, but also the newly acquired Isco, who Real Madrid have also bought in this transfer window. Real Madrid are easily the club, who have spent the most money this summer, also bringing in Asier Illarramendi and Daniel Carvajal, who they got on a buyback clause. 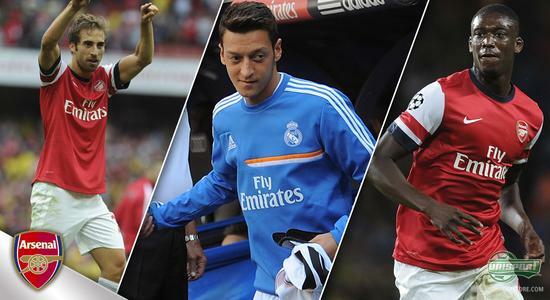 On the other hand Real Madrid fans are probably sad to see the likes of Mesut Özil and Kaka go. Real Madrid are ready with their new shirts for the coming season and if you would like to dress like the stars, then you can order it right here. 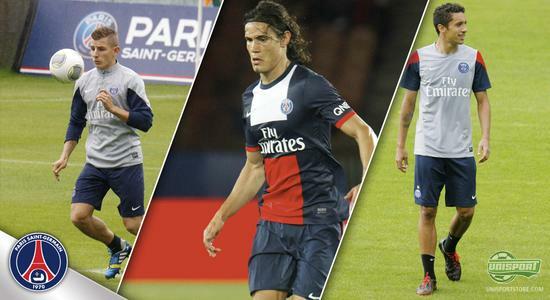 One of the teams, who are really storming forward, is Paris Saint Germain. Last year they impressed in the Champions League, where they for long periods of time looked like beating out Barcelona. The luck unfortunately failed them in the end, but the Parisians look ready for revenge this year. The team has been reinforced with the signing of Edison Cavani, who the fans expect great things from. 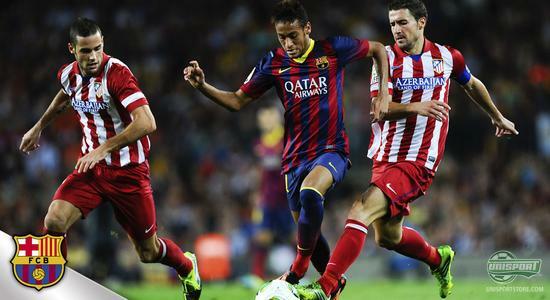 PSG also managed to secure the services of Marquinhos, who moved from Roma to PSG. He may only be 19 years old, but the supporters have high hopes for him. They have in general bought players, with an eye on the future, with the signing of Lucas Digne, who is also just 19 years old. Are you a PSG supporter and enjoying the recent success, then show your club pride by getting the brand new shirt, which can be found right here. On the back you could for example get Zlatan Ibrahimovic, or maybe the new striker Cavani. There will be lots of competitors for the title in France this year, with Monaco now also looking like likely contenders. They have brought in massive signings, with the biggest one undoubtedly being Radamel Falcao, who got a contract so lucrative, he simply couldn't refuse. The club from the rich province in France have also seen significant signings such as João Moutinho, who will contribute with his experience and indisputable talents. They have also bought Moutinho's former Porto team-mate, The Kid, which is James Rodríguez' nickname. The Colombian is a mega talent and it will be exciting to follow his progress in Monaco. 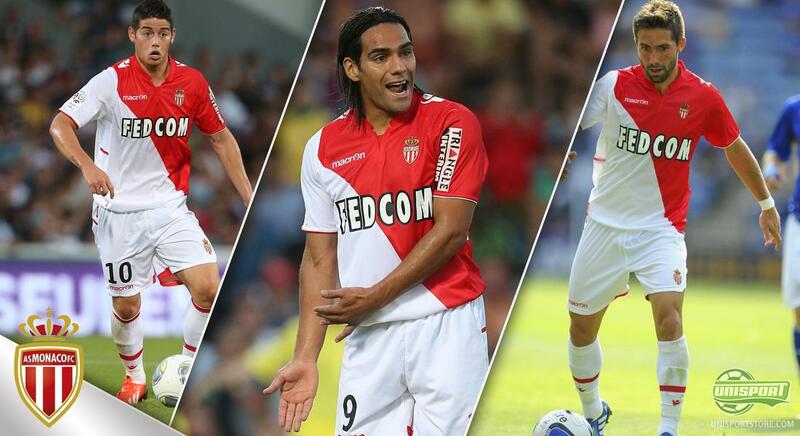 Are you a fan of Monaco, then you can find the clubs new home shirt right here. On the back you could get the new star forward Radamel Falcao, but getting Rodríguez is definitely also a cool alternative. In light of Real Madrids recent purchase of Gareth Bale, there have been some players in the Spanish capital who were surplus to demand, and one of the more prominent have made the switch to the Italian capital Milano. 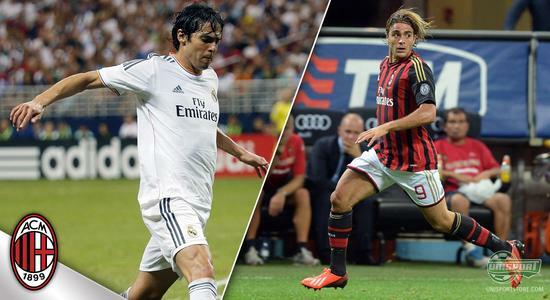 Kaka is back in AC Milan, which caused euphoria among the club's fans, who have truly missed their very own number 22. It was never the big success that Kaka had probably hoped for when he joined Real Madrid; but now that he is back with Milan we expect him to unfold his potential in the club where he has done so well previously. In Italy it is not all uncommon that players make the switch across big club rivals, and AC Milan have been looking at Juventus where they have picked out attacker Alesandro Matri. Hereby, one may say that Milan are looking like a very serious candidate to take the title away from Juventus. Are you a fan of AC Milan and are you looking to show of the club colours, the you can order the club's brand new shirt right here. An obvious choice would be to get the Kaka 22 printing on as well. In Napoli they have also brought out the big wallet in order to be well prepared for both the Champions League, as well as the battle for the Italian championship. The new manager Rafael Benitez have been showing quite a number of new players around the stadium, and they are not a bunch of nobodies. A key player among the crowd must be Gonzalo Higuain. There were rumours of the Argentinian going to Arsenal, but in the end his destination was Napoli. The same was the case for Raul Albiol and José Callejon, and the result is hereby a very interesting squad that will be worth following. Last season they were not far from snatching the championship, and the question is if they will be able to display the same cynical and intelligent play that gave them the good result last season. Are you looking to show your support for Napoli and their exciting project, then you can order the club's brand new shirt right here. You might wanna get Higuain printing on the back, or maybe Hamzik. Yet another record breaking transfer window is now over, and some of the biggest stars switched club's and also shirts. If you would like to get the full overview of all the new shirts that we are going to see the stars wearing, then come along to our clubshop, where we have gathered all the necessary information regarding the latest shirts. The summer has once again brought us a lot of super exciting transfers, and the amount of money that has switched hands is out of this world. 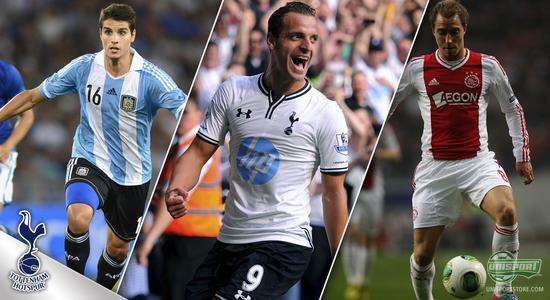 What do you think is this summers best transfer? And which club do you think has done the best bit of business in this window? Feel free to share your comments here, as well as on Facebook and Twitter.